US50 to SR48 W thru Manchester to property on left before White Plains Rd. 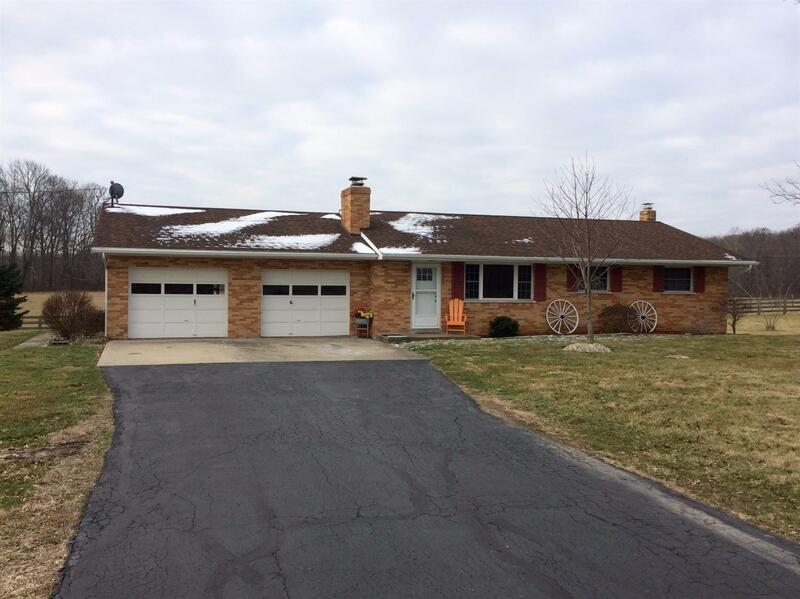 Solid brick ranch, new kitchen, new bath,HDWD flrs thru-out home. New septic sys.furnance & air & roof. Updated wiring & plumbing. Nice FP in Liv rm. 2nd bath in basement. Beautiful acreage, large older ceramic block barn w/stalls, good fencing. 2005 pole barn w/heat & air easily will fit 4-6 cars, Att garage is oversized-wired for generator. NOTE: This property was sold on 2/21/2017 and is no longer available. The details listed below are believed accurate to the date of the sale and are subject to change.